The Coral Island 7.5m was Vikal's first Limousine delivered in 1992. This is the boat that started it all. In 1990 the doyen of yacht design. Jon Bannenberg was spending a lot of time in Australia whilst Oceanfast was building yachts to his design. Vikal built many of the superstructures under contract to Oceanfast. Jon often came to Vikal and witnessed our methods working with composites. At the time a 75+ meter motor yacht designed by Jon was being built by Lurssen in Germany. Jon put forward Vikal as preferred tender builder for the new yacht and with the owner's approval. Vikal was contracted to manufacture its first pair of super yacht Tenders. 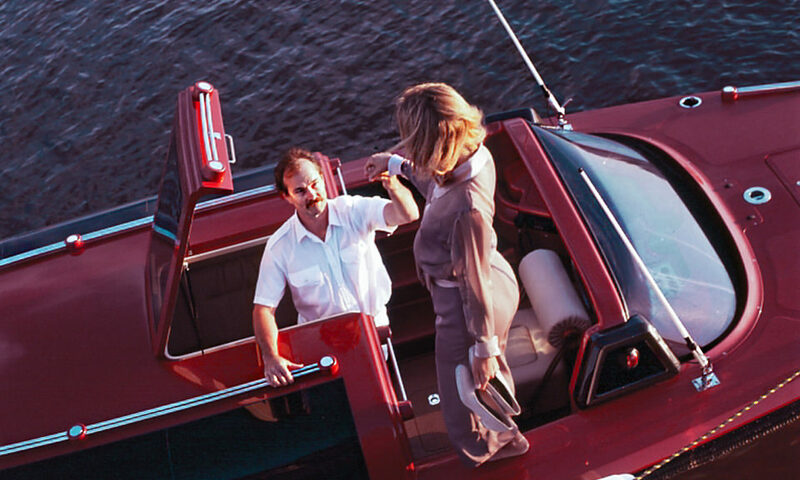 The completion of this Tender build, heralded a new era in Limousine Tender construction. The bar had been lifted. 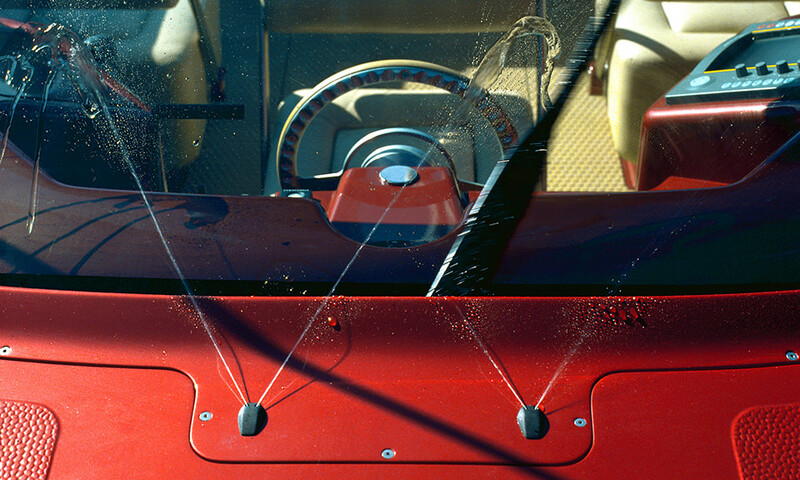 Coral Island's features included a laminated glass windscreen, borrowed from a 1959, 62 series Cadillac Convertible. It's windscreen wiper was a single blade, articulated unit taken from a 500SL Mercedes Benz. The screen wiper washers were from a 911 Porsche. The anchor winch was a Muir, concealed below the foredeck and the anchor was a custom made stainless item fitted to the bow. The steering wheel was a billet Budnik, made by an American hot rod parts manufacturer. 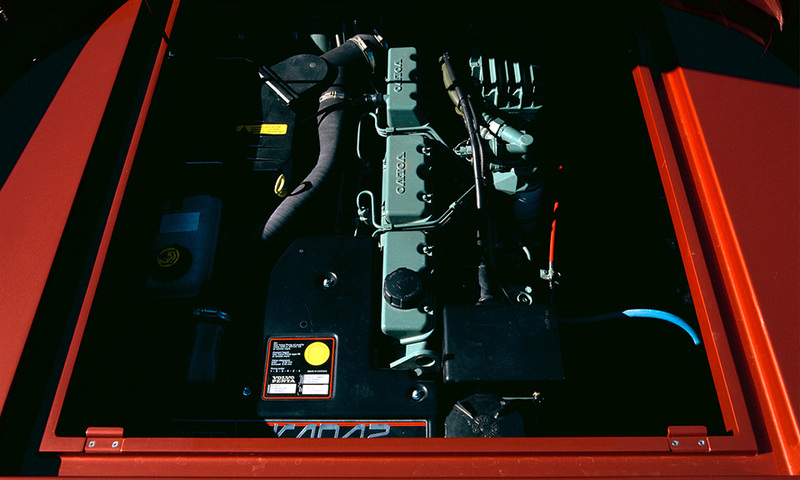 The transom view of the tender, shared much with the McLaren F1. Jon had gifted Vikal a detailed brochure of the McLaren F1 as an inspiration for the build. Hence the central driving position and the split rear window were both employed on this tender as per the F1 vehicle. The level of design, build quality and detail set new standards in the industry. For the first time a Limousine Tender was presented at the level of finish offered in the yacht. 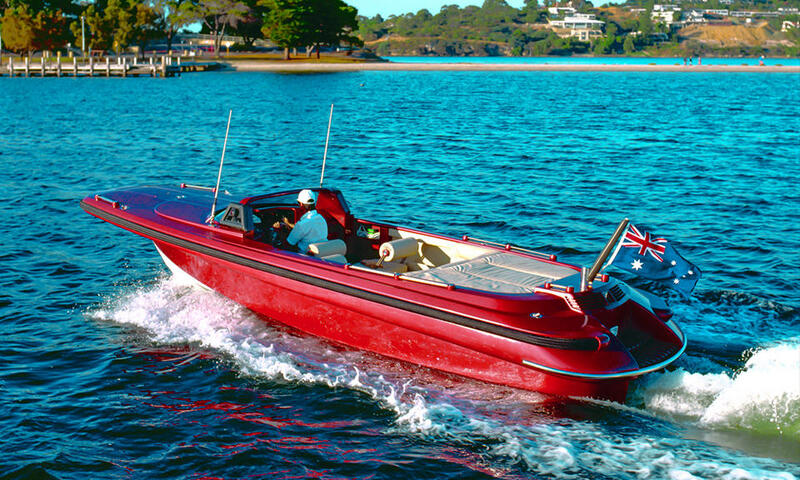 As one captain commented "It's not just a Tender, but a true baby motor yacht".